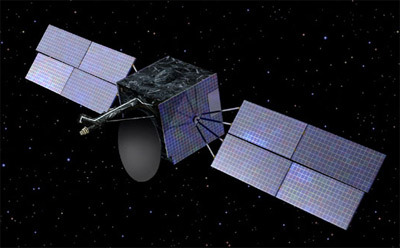 In another vote of confidence in Orbital's ability to deliver reliable, cost-effective GEO satellites, B-SAT awarded Orbital the contract for BSAT-2c, the replacement for BSAT-2b, in September 2001. BSat-2c is, like the BSat-2a and 2b satellites, a geosynchronous direct-to-home TV broadcast satellite. It is designed to provide direct-to-home digital high-definition television throughout Japan, relaying channels at higher resolution and in a wider-screen format than traditional analog systems. BSat-2c differs from its predecessors in having two-segmented instead of three segmented solar arrays. The produced power remains the same due to the use of solar cells of higher efficiency.